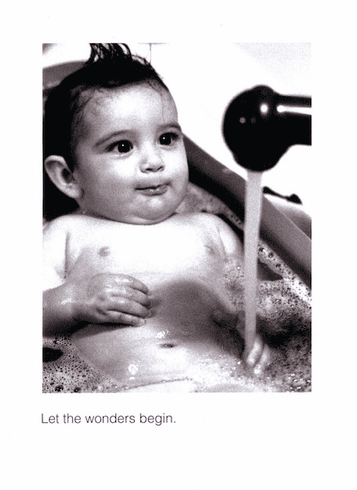 Home > Greeting Cards > New Baby > Let the wonders begin. Outside: Let the wonders begin. Inside: Blank. Borealis Press card measures 5 x 7 inches. Includes envelope.